The Possibility of Uncertainty by Diego del Valle Ríos was commissioned to Terremoto as part of Field Perspectives 2019, a co-publishing initiative organized and supported by Common Field. Field Perspectives 2019 invites thinking that reflects on the future of the artist organizing field. The program, a collaboration between Common Field and nine arts publications, is published in two parts. Part 1 includes texts by Chicago Artist Writers, The Rib and Sixty Inches from Center. Part 2 includes texts by Art Papers, The Artblog, BmoreArt, Momus, Terremoto, The Third Rail, and Title Magazine. Generous support for Field Perspectives is provided by The Andy Warhol Foundation for the Visual Arts. In this commissioned essay, our Editor-in-Chief reflects on the condition of precarization shared within the art community in Mexico as a consequence of an imposed model of professionalization that normalizes and promotes individuality and relations of competition and abuse. Is it possible to imagine another way to cohabit this world by rethinking the ways of exercising our artistic and intellectual practice? Why is it that the work that articulates and drives the art system is currently, in its majority, an individual, precarious and over/self-exploited work? Is it possible to slow down this imposed pace to inaugurate necessary conversations about what we share? These questions have constantly arisen through-out several conversations with close friends who share the art sector as a field of work in Mexico. Each one of them has something in common: the anguish and uncertainty before an artistic work that does not seem to offer possibilities of stability and aims, instead, to the continuous neoliberalization of the medium. During the last weeks of January and the first week of February 2019, as every year, an extensive agenda unfolded around contemporary art and design, mainly carried out around three Mexican cities: Mexico City, Guadalajara and Monterrey. In the framework of ZONAMACO, Material Art Fair, and Salon ACME, agendas were oversaturated with the purpose of taking advantage of the circulation of resources—economic, social and symbolic—to enable profits that would allow to survive the coming months in the context of a cultural economy that is increasingly becoming more difficult to cope with. This circumstance is due not only to the economic precariousness that exists in Mexico in relation to minimum wage and also to a change in the federal government that inaugurated its administration with a policy of austerity to balance public indebtedness and looting of public funds for corruption, which places in total uncertainty the cultural field in relation to budgets and the continuity of support and funding programs. 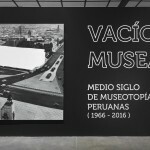 That is the case of the public program FONCA  that is in dispute by the new administration from classist and paternalistic rhetoric of an expired left proselytism, which seeks to stigmatize as “privileged” all art that is not popular and that doesn’t have welfare purposes. Likewise, the uncertainty is also due to a centralist system, which, based on the CDMX, is increasingly exceeded by a competitive market, which generally limits its profits to large galleries and elites. The latter, from a game of legitimating rhetoric and a concentration of resources, pressure young galleries and emerging artists to participate in their structures to extract symbolic value from their work, allowing them, for example, to charge high prices per square meter or by entrance ticket—in the case of fairs such as ZONAMACO and Salón ACME—or as another example, self-legitimate with generational exhibitions, placing themselves as watershade of artistic languages, as is the case of the exhibitions Reconstrucción and Autorreconstrucción: detritus of the artist Abraham Cruzvillegas with the support of his gallery, kurimanzutto, and Museo de Arte de Zapopan and MUCA Roma. This type of actions usually never redistribute to the exploited community part of the resources and values generated, also bringing with it, labor offers of terrible compensations and salaries, the majority without benefits. On the other hand, the economic uncertainty was also intensified by the sudden closure of the Fundación Alumnos47, an organization of philanthropist and collector Moisés Cosío, at the end of 2018. This closure is accompanied by insecurity due to possible complete termination of the personal support that the young collector offered to many agents of the field—including Terremoto. This fact reminds us of the necessary conversation, still pending, on the necessary gild organization that requires the diversification of support and financing models that need to decentralize from individual figures to ensure long-term continuity. For the time being, models like these are reflected in the Fundación Jumex, the Patronato de Arte Contemporáneo and the Fundación Bancomer. Very limited options for the large number of artists and projects seeking stability. Carmen Huízar, Untitled, April-June 2018. Intervention in Fundación Alumnos47 from an appropriation of a phrase found outside a Catholic temple in Mexico, enameled paint 60 x 90 cm. 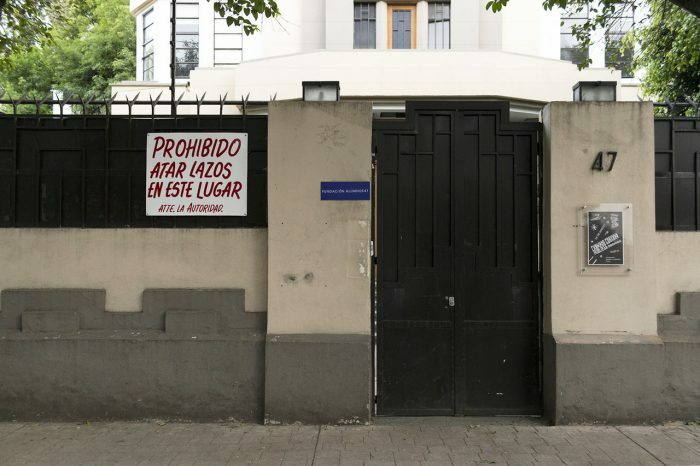 The phrase is originally addressed to street vendors, who are prohibited from installing their stands by tying the ropes to the church wall. 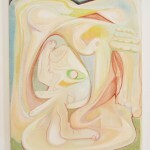 In this recontextualization, the piece alludes to interpersonal relationships within the art world. Under these circumstances, the economic spillage of the “art week” this year became a desperate cry to find an ephemeral economic equilibrium that allows us a little peace of mind in face of this constant turbulence. To achieve this, several of us submitted ourselves before, during and after that week, to exhausting work routines with the sole mission of producing works, assemble exhibitions, write texts, make public relations and organize and communicate events, to set and discursively justify these productions, to thus generate symbolic value that could later be translated into capital with which to pay expenses and debts. However—and unfortunately—the art system has normalized a labor culture of over-exploitation influenced by the entrepreneurialism of the neoliberal technocracy, in which, cornered by precariousness, the art professional is forced to be part of a large quantity of projects using their creativity as a survival tool. If one does not know how to use such creativity, it’s one’s problem and has nothing to do with the circumstances described above. Along with the neoliberalization of the cultural field came the professionalization of art, a process of technocratic whitening that, following the genealogy of the heteropatriarchal division of labor in relation to the public and private sphere, established individuality as the central axis of its development. Its fertile ground was the setting of the nineties: the fall of the Berlin Wall, the development of the Internet and the information age, the boom of the speculative stock market finances, and the establishment of the global and international community through treaties and regional-economic agreements rooted in discourses and policies of diversity, essentially racist and colonial. The Australian government of Paul Keating and the English government of Tony Blair stimulated said expansion of the global from the cultural field, both whom, through the definition of the creative industries, sought to relate culture and intellectual property—understanding this last as private property—in relation to the economy and the GDP of their respective countries. Influenced by this neoliberal project, Richard Florida created the creative class  in the early 2000s: a projection of individuals who, as Oli Mold explains in his book Against Creativity, would adopt the global culture through entrepreneurship in relation to values of competence such as autonomy, flexibility, adaptability and dynamism willing to collapse the boundaries between work, rest and leisure. As a global reference model idealized by capitalism, an individuality was created as a model to follow: progressive, which identifies with the political liberal “left”, part of a upper-middle class, has a higher education almost always complemented in Anglo-Saxon universities, benefits from whiteness  and the heterosexual system, is at least bilingual, has a passport—which translates into being considered “citizens” (subjects of law) by the governments of the countries where they live and work—, has access to the acquisition of private property and are able to manage resources in dollars or euros through private social circles, in order to generate cultural products that create jobs usually precarious and generate the accumulation of wealth through those. The insertion of contemporary Mexican art to the international market is done through a limited creative class, composed of the figures of the artist, the curator and the gallery owner as superstar producers close to spheres of power, an obvious generalization here made to open a conversation from this tension. These personalities have all the socio-economic possibilities to produce works, speeches and research that will be remunerated in the short and medium term. This allows them to be present in the international market, produce exhibitions in museums and biennials around the world, and generate extensive editorial and journalistic publications in multiple languages. They always circulate as ambassadors members of a “global art community”, which only triggers collaboration to achieve personal goals focused on generating innovative ideas, experiences, and objects that can be profitable and exploited by capitalist logics that benefit the same system they support, in order to maintain their privilege. Likewise, they play with friendly and affective relationships and unfold romantizations of artistic practice to dilute tensions. The professional exercise of these figures that transits and articulates between public and private elites, is part of the development of creative industries that, in other words, is a capitalist model whose—erroneous—understanding of culture points towards intellectual property as an investment field that can and should be profitable according to elitist economic growth and accumulation logics in tune with developmentalist policies. The generation to which I belong integrates to this model of professionalization—another generalization whose resemblance to reality is mere coincidence: a generation composed mostly of middle class people that, due to precariousness, we oscillate between freelance and low/medium salary jobs that have little or nothing to do with art (most of these without benefits); we have a higher education (some unfinished, some graduates), and surrounded by circumstances that hamper the access to Anglo-Saxon masters or doctorates—which following a North-South colonial logic are those that endorse the “competent” art professional that the creative industry seeks. As a consequential generation of the nineties, the inherited structure requires one to be bilingual, uncritically adopt the benefits of whiteness and heterosexuality, and never leave the condescending limits that these privileges have created—since one aspires to benefit from them. Trapped in a dichotomy between the individual aspiration of the illusion of the creative class and the critical Marxist discourses, they are set in motion—quoting and paraphrasing Nicolás Pradilla: “(…) spaces for meeting, study and exhibition” [that empty from their political power terms such as self-management, community and independence, whose contradictory meaning is acquired] “when enunciating from an internalized logic of the cultural industry: a narrative where it seems that we refer to forms of precarious entrepreneurship registered in trade networks.”  It is key to take on the contradictions that are revealed by juxtaposing the critical discourses we deploy and the structures that articulate them. Is it possible to stop being complicit of this elitist system by accepting to be exploited and abused by it? In other words, we were integrated into a performance oriented society, which Byung-Chul Han characterized by a constant occupational burnout that makes it impossible to achieve the imposed expectations causing isolation, anxiety, depression and/or the irresponsible consumption of alcohol and drugs (another urgent issue of which there is a need to speak of in the art world especially in relation to addiction and misogynist violence). Under the promise of international recognition and financial incentives, the performance oriented creative society has been imposed on us through the hyper-accelerated pace of an international agenda and its models. Trapping us in the urgency they normalize, for example, competition and narcissism focused on a meritocracy; practices of neglect of personal relationships through labor relations; an elitist structure that results in delays of payments of services provided or purchase-sale of work, creating chains of debts to be settled for work done; unpaid work disguised as “collaboration” and abuse of trust; the paternalisms that punish from the verticality; the lack of recognition of work; the exhibitions of and by white cisgender men—which standardize the medium—; the epistemic extractivism tinged with decolonial heroism or self-serving feminism; “the violence that comes as not surprise” selective according to individual and diplomatic interests; the pressing pressure to produce new and quality works, current at their most immediate time; saturated calendars of short-term exhibits; a weak critical and journalist exercise of the immediacy; and, as mentioned above, the commercial and the spectacular deterritorializing the communal and self-managed spaces. It is urgent to subject this structure to an analysis and discussion from the collective, because, if its precariousness and uncertainty are a constant, it’s because we cannot transcend individuality to think together how to face this toxic structure. Causing, therefore, paralysis and normalization. Is it possible to think and exert ourselves from precariousness as that common factor among us? We need to give ourselves the time to organize and have conversations together—which are not reactionary to eventualities—about the ways in which we exercise our intellectual and artistic practice beyond the discussions of the theoretical and methodological. These conversations must urgently find a specific and continuous space for their development beyond the bubble of social media and the brief and drunken conversations and comments during parties, openings and studio visits, ephemeral condescension that hinder the continuity of reflection and tension. In the case of Mexico, it is essential to begin to trace a genealogy among the artistic educational self-managed initiatives that have arisen in response to widespread precarization, such as Bikini Wax EPS and Bikini Wax Arte y Trabajo (CDMX), Zona de Desgaste (CDMX), Lateral (Guadalajara), Faena (Guadalajara) and PROA (Art Production Program) of Obra Negra Espacio (Guanajuato), to name a few. Currently, attention will have to be paid to projects such as Todes, nosotres, juntes, a study group coordinated by Clara Bolívar in alliance with cultural center Local21 and Radio Nopal, where “collaboration” in the artistic field was under analysis; the unfolding of the conversations that took place in the critical space NACO and Un cuarto emancipado on artists’ labor rights and work conditions; as well as the project Desplazando al centro, that will be held in Monterrey, through which, artist-run space NoAutomático—responding critically to the centralized cultural system of the country—will bring together independent spaces of the visual arts of the cities of Tijuana, Guadalajara, Puebla, Estado de Mexico, Mexico City and Monterrey around the models they have created and adopted based on a practice of self-management, exhibition, encounter, and visibility of discourses in relation to the community they host and their respective contexts. A project that, by the way, will be carried out thanks to the support of the FONCA. These mentioned initiatives reveal the outdated individuality and respond critically to the need to open conversations from the common in a precarious and uncertain environment. However, the challenge is to avoid that these discussions and reflections remain in closed circuits and specific groups, taking into account the systematic interweaving with classism, racism, and machismo. Narrating a history of the present on how the issues discussed and studied from the collective can affect the pre-established structures is necessary for the enunciation of the word to function as a register and counterweight of a political position that should not be limited to the deployment of critical discourses. Etymologically, the word economy­—the same that has been hijacked by capitalist institutional discourses—means “the administration of the house”. If we start thinking about our artistic and intellectual exercise as the structure that brings us together, sustains and embraces us, that is, our house, what shared responsibilities do we have to maintain it? Is a structure possible outside the logic of exploitation and the precariousness of neoliberalism and the heteropatriarchal system? How to structure the critical discourses that have been revealed to define common cultural policies and to create long-term decentralized, solidary, and communal artistic economies? In order to re-appropriate collectively and communally the economic possibilities of our artistic and intellectual practice, we must urgently assume the crisis of the political culture of the left and the contradictions of an art system, that tacitly and falsely, assumes itself under that political current. At the same time, a critical-practical position must be encouraged without a condescension position before the processes of individualization, competition, and commodification imposed by the elitism of liberal private policy. From these first two steps of organization and conjugation, we can define our own cultural policies, a commitment assumes collectively that works as a political and practical counterweight to the interior and exterior of the art system. The examples and possible role models to follow have historically existed in Mexico, as is the case of El Sindicato de Obreros, Técnicos, Pintores y Escultores (SOTPE) led by muralist David Alfaro Siqueiros, in the early twenties and which was followed by Liga de Escritores y Artistas Revolucionarios (LEAR). Other examples are the pronouncements of Grupo Proceso Pentágono and Grupo SUMA in the seventies, as well as the C.A.C.A. collective in the early 2000s, to name a few. At present in Mexico, since the end of last year the MOCCAM (Collective Movement for Culture and Art of Mexico) was formed to work for the rights to culture, making present a gild organization that has an impact on the legislation, designation and distribution of public powers, budgets and programs that are related to our artistic sector. As Latin American referents are the models that are practiced by Beta-Local in Puerto Rico, Entre in Paraguay, Fora do Eixo in Brazil or Nosotras Proponemos in Argentina. The political pronouncement from the collective as heterogeneity is the founding step to find our own agency and structure of sustenance that does not depend solely and unilaterally on the liberal interests of the private initiative and government programs, which, in recent months, have been revealed to be uninterested, insufficient, ignorant and uncertain. For that purpose, we must decelerate and fracture the individuality of the creative industry, point out that what is useless of said imposed models and commence an exercise of transgenerational listening and conversations around how we accompany and affect each other from the contradictions between our critical discourses and our habits, in terms of the ways of relating to each other. Inside this “house” that is the economy, we must be responsible for our mutual care starting with a self-reflection that incites the following phrase that I reference every time there’s an opportunity: if we have privileges, we have the responsibility to question the structures that have granted us. As I mentioned, the Mexican art system is a pigmentocratic system that benefits from whiteness and toxic heterosexuality, dismantling it is a priority, which can be achieved by redistributing those privileges from the self-critical awareness that deconstruction arouses. The processes of deconstruction, which have slowly begun to take place thanks to feminisms, sexual dissidence, and anti-racism, should open conversations around the collective vulnerability, where emotions are a political force that allows adopting settlement and reparation. At the same time, it is necessary to develop conversations that transcend the lapidary and the essentialist to accommodate the reconstruction and reintegration of those people who detected their violence and took responsibility for it. There are many edges and flanks to review and rethink. Let’s avoid falling into the burden of individuality. Let us recognize who are our comrades inside and outside the institution, our communities, artist-run spaces, and workspaces, to face together what needs to be changed. If uncertainty is what we have in common, then let’s adopt it as an open and continuous methodology that guides a process of reconstruction, in which we do not make the mistake of assuming apparent certainties that return us to the individuality of the heteropatriarchal verticality. FONCA (National Fund for Culture and Arts) is a Mexican public organism part of the Secretaría de Cultura. It was founded in 1989 during the presidency of Carlos Salinas de Gortari with the aim of supporting “free creation” and the internationalization of Mexican artists. During its existence and through its programs as Jóvenes Creadores (Young Creators), México en escena (Mexico on Scene) or Sistema Nacional de Creadores (National Creators System), to name a few, it has promoted and encouraged artistic creation by awarding monetary grants and scholarships for art projects through a call for proposals which are selected by peers who have had support in past contests. Antonio Castro-Higueras. Industrias culturales vs industrias creativas: un análisis crítico. (Spain: University of Málaga, 2016). Richard Florida. The Rise of Creative Class. (New York: Basic Books, 2002). For the Ecuadorian thinker Bolivar Echeverría, whiteness, following Max Weber, is an ethical requirement focused on maintaining “the capitalist organization of the production of social wealth” in order to unify identities in the context of modernity. In this way whiteness becomes an ethos whose nucleus is a racism present in attitudes and behaviors that, according to the interpretation of Carlos F. Lincopi, “consists of a complete commitment to work, of asceticism of the world, of virtuous and moderate behavior, of productive rationality and stable benefit, of productive self-repression and that would be present, in an exemplary manner, in Protestant Christianity.” See more in: Bolivar Echeverría, Modernidad y blanquitud (Mexico: Editorial ERA, 2010) and Carlos F. Lincopi Bruch, “‘Modernidad y blanquitud’ de Bolívar Echeverría”, review published on Marxismos y Revolución, August 31, 2017. <http://marxismoyrevolucion.org/?cat=11&paged=3> [Accessed on March 15, 2019]. Nicolás Pradilla, “Poner en el centro la organización como forma de aprendizaje,” Cátedra Goeritz, February 2019, Gabinete section. <http://catedragoeritz.org/gabinete/poner-en-el-centro-la-organizacion-como-forma-de-aprendizaje> [Accessed on March 15, 2019]. La posibilidad de la incertidumbre por Diego Del Valle Ríos fue comisionado a Terremoto como parte de Field Perspectives 2019, una iniciativa de publicación conjunta organizada y apoyada por Common Field. 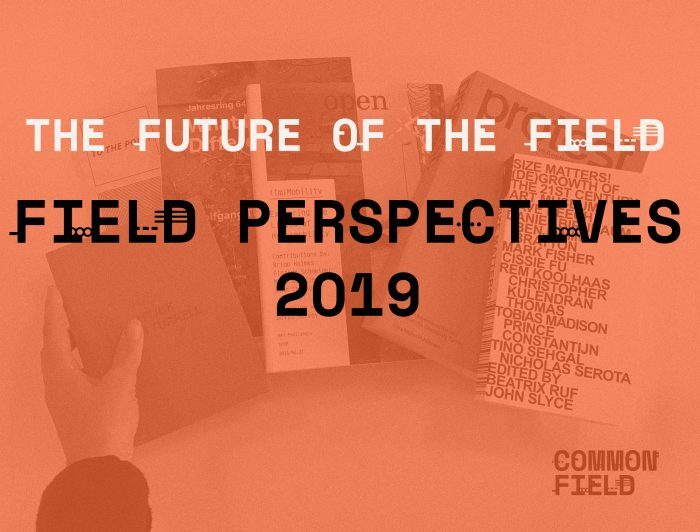 Field Perspectives 2019 invita a reflexionar sobre el futuro del campo de la organización de artistas. El programa, una colaboración entre Common Field y nueve publicaciones de arte, se publica en dos partes. La parte 1 incluye textos de Chicago Artist Writers, The Rib y Sixty Inches from Center. La parte 2 incluye textos de Art Papers The Artblog, BmoreArt, Momus, Terremoto, The Third Rail y Title Magazine. El apoyo generoso para Field Perspectives es proporcionado por The Andy Warhol Foundation for the Visual Arts. En este ensayo comisionado, nuestro Editor en jefe reflexiona sobre la condición de precarización compartida dentro de la comunidad artística en México como consecuencia de un modelo de profesionalización impuesto que normaliza y promueve la individualidad y las relaciones de competencia y abuso. ¿Es posible imaginar juntxs otra forma de cohabitar este mundo a partir del replanteamiento de las formas de ejercer nuestra práctica artística e intelectual? ¿Por qué el trabajo que articula y acciona al sistema del arte actual es, en su mayoría, un trabajo individual, precario y de sobre/auto-explotación? ¿Es posible desacelerar el ritmo impuesto para inaugurar necesarias conversaciones sobre lo que compartimos? Estas preguntas han surgido constantemente a lo largo de varias charlas con amigxs cercanxs que compartimos el sector del arte como campo de trabajo en México. Cada una de ellas tiene algo en común: la angustia y la incertidumbre ante un trabajo artístico que no parece brindar posibilidades de estabilidad y apunta, en su lugar, a la continua neoliberalización del medio. Durante las últimas semanas de enero y la primera semana de febrero de 2019, como cada año, se desplegó una extensa agenda alrededor del arte contemporáneo y el diseño principalmente en tres ciudades mexicanas: Ciudad de México, Guadalajara y Monterrey. En el marco de ZONAMACO, Material Art Fair y Salón ACME se sobresaturaron las agendas con el propósito de aprovechar la circulación de recursos —económicos, sociales y simbólicos— para posibilitar ganancias que permitieran sobrevivir los meses subsecuentes en el contexto de una economía cultural cada vez más difícil de sobrellevar. Esta circunstancia se debe no sólo a la precariedad económica que se vive en México en relación al salario mínimo, sino también a un cambio en el gobierno federal que inauguró su administración con una política de austeridad para equilibrar el endeudamiento público y el saqueo de fondos públicos por corrupción, lo cual deja en total incertidumbre al campo cultural en relación a presupuestos y continuidad de programas de apoyo y financiamiento. Ese es el caso del programa público FONCA  mismo que está en disputa por parte de la nueva administración a partir de retóricas clasistas y paternalistas de un proselitismo de izquierda caduca, el cual busca estigmatizar como “privilegiado” a todo arte que no es popular y/o asistencialista. Así mismo, la incertidumbre también se debe a un sistema centralista, que, basado en la CDMX, se encuentra cada vez más excedido por un mercado competitivo, el cual, generalmente, limita sus beneficios a grandes galerías y élites. Éstas últimas, a partir de un juego de retóricas legitimantes y una concentración de recursos, presionan a las galerías jóvenes y a lxs artistas emergentes a participar en sus estructuras para extraer valor simbólico de su trabajo, permitiéndoles, por ejemplo, cobrar altos precios por metro cuadrado o por boleto de entrada, en el caso de las ferias ZONAMACO y Salón ACME; o auto-legitimarse con exposiciones generacionales colocándose como parteaguas de los lenguajes artísticos, como es el caso de las exposiciones Reconstruccióny Autorreconstrucción: detritus del artista Abraham Cruzvillegas con el apoyo de su galería, kurimanzutto, y el Museo de Arte de Zapopan y MUCA Roma. Este tipo de acciones nunca suelen redistribuir parte de los recursos y valores generados a la comunidad explotada, también trayendo consigo, ofertas laborales de pésimas compensaciones y salarios, la mayoría sin prestaciones. Por otro lado, la incertidumbre económica también se agudizó tras el súbito cierre de Fundación Alumnos47, organización del filántropo y coleccionista Moisés Cosío, a finales de 2018. Dicho cierre está acompañado de inseguridad por un posible total cese de los apoyos personales que el joven coleccionista brindaba a muchxs agentes del sector —Terremoto incluido. Este hecho nos recuerda la pendiente conversación sobre la necesaria organización gremial que exija la diversificación de modelos de apoyo y financiamiento que se descentralicen de figuras individuales para procurar continuidad a largo plazo. 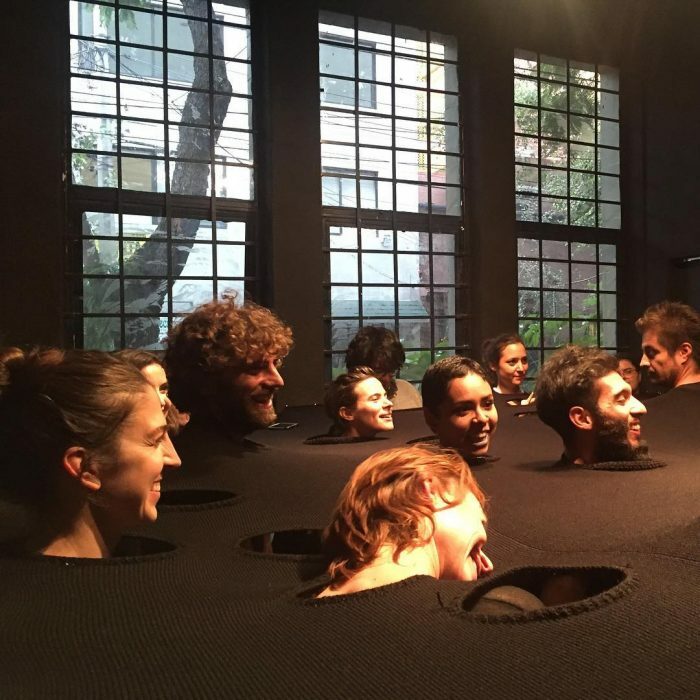 Por el momento, modelos como esos se reflejan en la Fundación Jumex, el Patronato de Arte Contemporáneo y la Fundación Bancomer. Pocas opciones para la cantidad de artistas y proyectos que buscamos estabilidad. Carmen Huízar, Sin título, abril-junio de 2018. Intervención en Fundación Alumnos47 a partir de la apropiación de una frase encontrada al exterior de un templo católico en México. Pintura esmaltada 60 x 90 cm. La frase está dirigida originalmente a los vendedores ambulantes, a quienes se les prohíbe instalar sus puestos atando las cuerdas a la barda de la iglesia. En esta recontextualización, la pieza alude a las relaciones interpersonales en el mundo del arte. En el marco de esas circunstancias, el derrame económico de la “semana del arte” se convirtió este año en una posibilidad desesperada de encontrar un efímero equilibrio que permitiera un poco de tranquilidad ante las constantes turbulencias. Para lograr ello, varixs nos sometimos previamente, durante y posteriormente a dicha semana, a extenuantes rutinas de trabajo con la misión de producir obras, montar exposiciones, escribir textos, hacer relaciones públicas, organizar y comunicar eventos, para enmarcar y justificar discursivamente estas producciones y con ello generar valor simbólico que pudiera traducirse en valor económico con el cual pagar gastos y deudas. Sin embargo —y desafortunadamente— el sistema del arte ha normalizado una cultura laboral de sobre-explotación influida por el emprendedurismo de la tecnocracia neoliberal, en la que, arrinconado por un sistema que produce precariedad, lx profesional del arte se ve obligadx a formar parte de una gran cantidad de proyectos recurriendo a su creatividad como herramienta de supervivencia. Si éstx no sabe utilizar dicha creatividad es su problema y nada tiene que ver con las circunstancias antes descritas. Junto con la neoliberalización del campo cultural vino la profesionalización del arte, un proceso de blanqueamiento tecnócrata que siguiendo la genealogía de la división heteropatriarcal del trabajo en relación al ámbito público y privado, instauró la individualidad como eje central de su desarrollo. Su tierra fértil fue el contexto de la década de los noventas: la caída del Muro de Berlín, el desarrollo del Internet y la era de la información, el boom de las finanzas bursátiles especulativas, y la instauración de la comunidad global e internacional a través de tratados y acuerdos económico-regionales arraigados a discursos y políticas de diversidad, en esencia racistas y coloniales. Dicha expansión de lo global fue estimulada desde el campo cultural, en un principio, por el gobierno australiano de Paul Keating y el gobierno inglés de Toni Blair, mismos que, a través de la definición de las industrias creativas, buscaban relacionar la cultura y la propiedad intelectual —entendiendo ésta última como propiedad privada— en relación a la economía y al PIB de sus respectivos países. Influenciado por este proyecto neoliberal, Richard Florida creó a principios de la primera década de los años dos mil la clase creativa : una proyección de individuos que, como explica Oli Mould en su libro Against Creativity, adoptarían la cultura global a través del emprendedurismo en relación a valores de competencia como la autonomía, la flexibilidad, la adaptabilidad y el dinamismo dispuestos a colapsar los límites entre trabajo, descanso y ocio. A seguir como modelo global idealizado por el capitalismo, se creó una individualidad modelo: progresista, que se identifica con la “izquierda” de la política liberal, forma parte de una clase media-alta y alta, tiene una educación superior casi siempre complementada en universidades anglosajonas, se beneficia de la blanquitud  y del sistema heterosexual, es por lo menos bilingüe, posee un pasaporte —lo que se traduce a ser considerado “ciudadano” (sujeto de derecho) por parte de los gobiernos de los países donde vive y trabaja—, tiene acceso a la adquisición de propiedad privada y es capaz de gestionar recursos en dólares o euros a través de círculos sociales privados con el fin de generar productos culturales para crear empleos usualmente precarios y generar riqueza para su acumulación a través de los mismos. La inserción del arte mexicano contemporáneo al mercado internacional se realiza a través de una reducida clase creativa que deviene en las figuras de lx artista, lx curadorx y lx galerista productores súper estrellas cercanxs a esferas de poder, una obvia generalización aquí hecha para abrir una conversación a partir de la tensión. Estas figuras tienen todas las posibilidades socioeconómicas para producir obras, discursos, exposiciones e investigaciones que son remuneradxs en el corto y mediano plazo. Esto les permite estar presentes en el mercado internacional, producir exposiciones en museos y bienales alrededor del mundo, y generar extensas publicaciones editoriales y periodísticas en múltiples idiomas. Circulan como embajadorxs miembros de una “comunidad de arte global” que únicamente acciona la colaboración para conseguir objetivos personales enfocados en generar innovadoras ideas, experiencias y objetos que puedan ser redituables y explotados por lógicas capitalistas que beneficien el mismo sistema que sustentan, y así mantener sus privilegios dentro del mismo. Así mismo, estas figuras juegan con las relaciones amistosas y afectivas y desdoblan romantizaciones de la práctica artística para diluir tensiones. El ejercicio profesional de esta figura, que transita y articula entre élites públicas y privadas, forma parte del desarrollo de las industrias creativas, que en otras palabras, es un modelo capitalista que, erróneamente, entiende la cultura en relación a la propiedad intelectual como un campo de inversión que puede y debe ser redituable de acuerdo a lógicas elitistas de crecimiento y acumulación económica en sintonía a políticas desarrollistas. A este modelo de profesionalización se integra la generación a la que pertenezco —otra generalización cuyo parecido con la realidad es mera coincidencia: una generación compuesta en su mayoría por personas de clase media, que precarizadxs, oscilamos entre el freelance y los trabajos que poco o nada tienen que ver con le arte, con sueldos bajos/medianos —la mayoría sin prestaciones—, con educación superior casi siempre en el sistema de educación pública —algunos con carrera trunca, otros titulados— rodeados de circunstancias que dificultan el acceso a maestrías o doctorados anglosajones, programas educativos que, siguiendo una lógica colonial norte-sur, son los que proveen de competencia y legitimidad a lx profesional del arte que la industria creativa necesita. Como generación consecuente de la década de los noventas, la estructura heredada requisita ser bilingües, adoptar acríticamente los beneficios de la blanquitud y la heterosexualidad, y nunca salirse de los límites condescendientes que los privilegios marcados han creado, pues se aspira a beneficiarse de los mismos. Atrapadxs en una dicotomía entre el aspiracionismo individual del espejismo de la clase creativa y los discursos críticos de corte marxista, se ponen en marcha, citando y parafraseando a Nicolás Pradilla: “(…) espacios de reunión, estudio y exhibición” [que vacían de su potencia política términos como autogestión, comunidad e independencia cuyo sentido contradictorio es adquirido] “al enunciarse desde la lógica internalizada de la industria cultural: una narrativa donde pareciera que nos referimos a formas de emprendedurismo precario inscritas en redes gremiales”. Es clave asumir las contradicciones que se revelan al yuxtaponer los discursos críticos que desplegamos y los modelos estructurales que los articulan. ¿Es posible dejar de ser cómplices de este sistema elitista a partir de aceptar ser explotadxs y abusadxs por el mismo? En otras palabras, fuimos integrados a una sociedad de rendimiento, misma que Byung-Chul Han caracteriza por un constante desgaste ocupacional que imposibilita alcanzar las expectativas impuestas provocando aislamiento, ansiedad, depresión y/o el consumo irresponsable de alcohol y drogas (otro tema urgente del que hay que hablar al interior del mundo del arte sobre todo en relación a las adicciones y las violencias machistas). Bajo la promesa de reconocimiento internacional y de incentivos financieros, la sociedad creativa de rendimiento se ha impuesto a través del ritmo hiperacelerado de una agenda internacional y sus modelos. Atrapándonos en la urgencia, normalizan, por ejemplo, la competencia y el narcisismo enfocado en una meritocracia; una práctica de descuido de relaciones personales a través de las laborales; una estructura elitista que resulta en retrasos de pago de servicios provistos o de compra-venta de obra creando cadenas de deudas a liquidar por trabajos realizados; trabajo no pagado disfrazado de “colaboración” acompañado de abuso de confianza; paternalismos que castigan desde la verticalidad; falta de reconocimiento de trabajo; exposiciones principalmente sobre y por hombres cisgénero blancos que estandarizan el medio; extractivismo epístemico tintado de heroísmo decolonial o feminista autocomplaciente; “the violence that comes as not surprise” selectivo de acuerdo a intereses individuales y diplomáticos; la apremiante presión a producir obras nuevas y de calidad, actuales a su tiempo más inmediato; calendarios saturados de exposiciones de corta duración; un débil ejercicio crítico y periodístico de la inmediatez; y, como se ha mencionado anteriormente, lo comercial y lo espectacular desterritorializando espacios comunitarios y autogestivos. Es urgente someter a un análisis y discusión esta estructura desde lo colectivo, pues si la precariedad y su incertidumbre son una constante, se debe a que no logramos trascender la individualidad para pensar cómo enfrentar juntxs esta tóxica estructura. Provocando, por lo tanto, paralización y normalización. ¿Es posible pensarnos y agenciarnos a partir de la precariedad como lo más común que tenemos entre nosotrxs? Necesitamos darnos el tiempo para organizarnos y tener conversaciones en conjunto —que no sean reaccionarias a eventualidades— sobre las maneras y estructuras que permiten el ejercicio de nuestra práctica intelectual y artística más allá de las discusiones alrededor de lo teórico y metodológico. Conversaciones que deben encontrar urgentemente un espacio específico y continuo para su desenvolvimiento más allá de la burbuja de las redes sociales y de las breves y borrachas conversaciones y comentarios durante fiestas, inauguraciones y visitas de estudio. 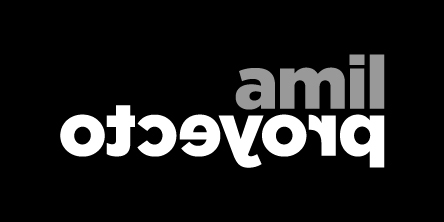 Efímeras condescendencias que dificultan la continuidad de reflexión y tensión. En el caso de México, es esencial comenzar a trazar una genealogía entre las iniciativas de autogestión educativa artística que han surgido en respuesta a la precarización generalizada como es el caso de Bikini Wax EPS y Bikini Wax Arte y Trabajo (CDMX), Zona de Desgaste (CDMX), Lateral (Guadalajara), Faena (Guadalajara) y PROA (Programa de Producción Artística) de Obra Negra Espacio (Guanajuato), por mencionar algunos. Ahora, habrá que poner atención a proyectos como Todes, nosotres, juntes, grupo de estudio coordinado por Clara Bolívar en alianza con el centro cultural Local21 y Radio Nopal, donde se analizó la “colaboración” en el campo artístico; al desenvolvimiento de las conversaciones que ocurren en el espacio crítico NACO y Un cuarto emancipado sobre derechos laborales de artistas y condiciones de trabajo (quienes por cierto, después de la denuncia visibilizada en el #MeToo habrán que adoptar necesariamente una perspectiva interseccional desde el feminismo y trabajar su masculinidad y violencia machista); así como al proyecto Desplazando al centro, que se realizará en Monterrey, a través del cual NoAutomático, respondiendo críticamente al sistema cultural centralizado del país, reunirá a espacios independientes de las artes visuales de las ciudades de Tijuana, Guadalajara, Puebla, Estado de México, Ciudad de México y Monterrey sobre los modelos que han creado y adoptado con base en una práctica de auto-gestión, exhibición, encuentro y visibilidad de discursos, en relación a la comunidad que acogen y sus respectivos contextos. Un proyecto que, por cierto, se llevaría a cabo gracias al apoyo del FONCA. Todas estas iniciativas mencionadas revelan la individualidad caduca y responden críticamente a la necesidad de abrir conversaciones desde lo común ante un medio precario e incierto. Sin embargo, el reto es evitar que estas discusiones y reflexiones se queden en circuitos cerrados y grupos específicos tomando en cuenta el entramado del sistema artístico con el clasismo, racismo y machismo estructural. Narrar una historia del presente sobre cómo los temas discutidos y estudiados desde lo colectivo pueden incidir en las estructuras preestablecidas es necesario para que la enunciación de la palabra funcione como registro y contrapeso de una posición política que no debe limitarse únicamente al despliegue de discursos críticos. Etimológicamente, la palabra economía —misma que ha sido secuestrada por discursos institucionales capitalistas— significa “la administración de la casa”. Si partimos de entender nuestro ejercicio artístico e intelectual como aquello que nos reúne, sustenta y acoge, es decir, nuestra casa, ¿qué responsabilidades compartidas tenemos para mantenerla? ¿Es posible una estructura fuera de las lógicas de explotación y precariedad del neoliberalismo y del sistema heteropatriarcal? ¿Cómo estructurar los discursos críticos que se han revelado para definir políticas culturales comunes y crear economías artísticas descentralizadas, solidarias y comunitarias de largo aliento? Para reapropiarnos colectiva y comunitariamente de las posibilidades económicas de nuestra práctica artística e intelectual, hay que asumir urgentemente la crisis de la cultura política de izquierda y las contradicciones de un sistema del arte que tácita y falsamente se asume bajo esa corriente política. Paralelamente debe promoverse un posicionamiento crítico-práctico y sin condescendencia ante los procesos de individualización, competencia y mercantilización impuestos por la política liberal privada. A partir de estos dos primeros pasos de organización y conjugación podremos definir nuestras propias políticas culturales, un compromiso que asumamos colectivamente y que funcione como contrapeso político y práctico hacia el interior y exterior del sistema del arte. Los ejemplos y posibles modelos a seguir han existido históricamente en México, como es el caso de El Sindicato de Obreros, Técnicos, Pintores y Escultores (SOTPE) liderado por David Alfaro Siqueiros, en la década de los veinte y al cual le siguió la Liga de Escritores y Artistas Revolucionarios (LEAR); o los pronunciamientos del Grupo Proceso Pentágono y el Grupo SUMA en la década de los setentas; así como el colectivo C.A.C.A. a principios de la década del dos mil, por mencionar algunos. En el presente en México, desde finales del año pasado se formó el MOCCAM (Movimiento Colectivo por la Cultura y el Arte de México) quienes trabajan por los derechos a la cultura haciendo presente una organización gremial que tenga incidencia en cuanto a la legislación, designación y distribución de poderes, presupuestos y programas públicos que se relacionan con nuestro sector artístico. Como referentes latinoamericanos de modelos de organización colectiva, gremial y comunitaria pueden tomarse en cuenta aquellos que se practican desde Beta-Local en Puerto Rico, Entre en Paraguay, Fora do Eixo en Brasil o Nosotras Proponemos en Argentina. El pronunciamiento político desde lo colectivo como heterogeneidad autocrítica es el paso más importante para poder encontrar nuestra propia agencia y estructura de sustento que no dependa unilateralmente de los intereses liberales de la iniciativa privada y de los programas de gobierno, los cuales, en los últimos meses, se han revelado desinteresados, insuficientes, ignorantes o inciertos. Para ello, hay que desacelerar y fracturar la individualidad de la industria creativa, referir aquello que es inservible de los modelos impuestos y comenzar un ejercicio de conversación y escucha transgeneracional sobre cómo nos acompañamos y afectamos unxs a otrxs a partir de las contradicciones entre nuestros discursos críticos y nuestros hábitos, en cuanto a las formas de relacionarnos. Al interior de esta “casa” que es la economía, hay que hacerse responsable del cuidado mutuo comenzando por la autoreflexión a la que incita la siguiente frase que menciono cada vez que existe la oportunidad: si tenemos privilegios, tenemos la responsabilidad de cuestionar las estructuras que nos los han otorgado. 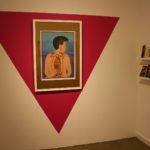 Como he mencionado, el sistema del arte mexicano es un sistema pigmentocrático que se beneficia de la blanquitud y la heterosexualidad tóxica, desmantelarlo es prioridad, lo cual puede lograrse al redistribuir esos privilegios desde la conciencia autocrítica que suscita la deconstrucción. Los procesos de deconstrucción, que lentamente han iniciado gracias a los feminismos, las disidencias sexuales y los anti-racismos, deben abrir conversaciones de vulnerabilización colectiva, donde las emociones sean una fuerza política que permitan adoptar prácticas de pago y reparo. Paralelamente, hay que desenvolver conversaciones que trasciendan lo lapidatorio y lo esencialista para dar cabida a la reconstrucción y reintegración de aquellas personas que detectaron sus violencias y se hicieron responsables de ellas. Como podemos leer, son muchas aristas y flancos que revisar y replantear. No caigamos en el agobio de la individualidad. Reconozcamos quiénes son lxs camaradas al interior y exterior de la institución, de nuestras comunidades, de espacios independientes y de trabajo, para juntxs afrontar lo que hay que cambiar. Si la incertidumbre es lo que tenemos en común, entonces adoptémosla como una metodología abierta y continua que de pauta a un proceso de reconstrucción, mismo que nunca debe cometer el error de asumir aparentes certezas que nos regresen a la individualidad de la verticalidad heteropatriarcal. El FONCA (Fondo Nacional para la Cultura y las Artes) es un organismo público mexicano que forma parte de la Secretaría de Cultura. Fue fundado en 1989 durante la presidencia de Carlos Salinas de Gortari con el objetivo de apoyar la “libre creación” y la internacionalización de lxs artistas mexicanxs. Durante su existencia y a través de sus programas, como Jóvenes Creadores, México en escena o Sistema Nacional de Creadores, por nombrar algunos, ha promovido y fomentado la creación artística mediante la concesión de subvenciones monetarias y becas para proyectos de arte a través de una convocatoria de propuestas que son seleccionadas por compañerxs que han contado con el apoyo en concursos anteriores. Antonio Castro-Higueras. Industrias culturales vs industrias creativas: un análisis crítico. (España: Universidad de Málaga, 2016). Richard Florida. The Rise of Creative Class. (Nueva York: Basic Books, 2002). Para el pensador ecuatoriano Bolivar Echeverría, la blanquitud, siguiendo a Max Weber, es un requerimiento ético enfocado en mantener “la organización capitalista de la producción de la riqueza social” con el fin de unificar las identidades en el contexto de la modernidad. De esta forma la blanquitud se convierte en un ethos cuyo núcleo es un racismo presente en actitudes y comportamientos que, de acuerdo a la interpretación de Carlos F. Lincopi, “consiste en una completa entrega al trabajo, de ascesis del mundo, de conducta virtuosa y moderada, de racionalidad productiva y beneficio estable, de auto-represión productiva y que estaría presente, de manera ejemplar, en el cristianismo protestante.” Ver más en: Bolivar Echeverría, Modernidad y blanquitud (México: Editorial ERA, 2010) y Carlos F. Lincopi Bruch, “‘Modernidad y blanquitud’ de Bolívar Echeverría”, reseña publicada en Marxismos y Revolución, 31 de agosto de 2017. <http://marxismoyrevolucion.org/?cat=11&paged=3> [Consultado el 15 de marzo de 2019]. Nicolás Pradilla, “Poner en el centro la organización como forma de aprendizaje,” Cátedra Goeritz, febrero de 2019, sección Gabinete. <http://catedragoeritz.org/gabinete/poner-en-el-centro-la-organizacion-como-forma-de-aprendizaje>[Consultado el 15 de marzo de 2019].